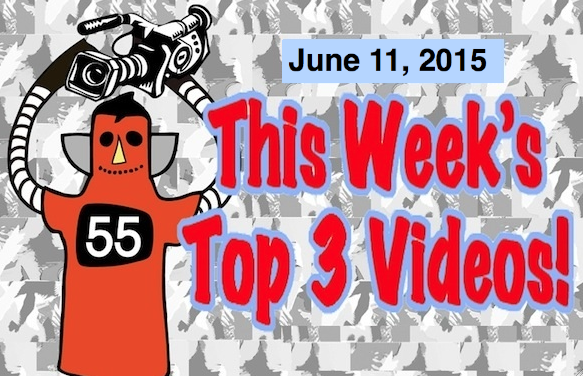 Top 3 Videos for June 11, 2015! And Japanese Rockabilly Band, Bobby’s Bar! We’re back for the weekend version of the Top 3 Indies Videos for May 11, 2015. I want to say thanks to all the artists who have been submitting videos to me for review. Much appreciation. And for you readers, thanks too! I hope you dig finding new artists and bands as much as I do! First up today at #3 are a band from Auckland, New Zealand who took off to Jolly Old London England the first chance they got. They are an Alternative rock trio, Adam, Dave and Joel. Their name is the Popstrangers and they are at #3. At #2 are those two sisters that seem to be catching fire. Their names are Gwendolyn and Lucy and they are better known as the punk band, Dog Party. This is their newest single! I think you’ll dig this video. It’s got parodies of all sorts of famous videos and pop/rock stars. The Devo “Jocko Homo” parody at about 1:05 into the video floored me! I certainly DID NOT expect that! And finally, as I always like to do, I’d like to introduce you to some of Japan’s unsung heroes. Today is a Rockabilly instrumental trio from Tokyo named Bobby’s Bar. This band rocks and performs at some of Tokyo’s coolest underground dives. I’ve seen them live several times and am always impressed by them. Well, that’s it for this weekend edition. See you next time! ARTISTS! SEND ME LINKS TO YOUR NEW VIDEOS! I WANT TO SEE THEM AND HELP PROMOTE YOU!